Former Formula One driver and World Sportscar champion. Warwick made his F1 debut in 1981, driving for the Toleman team. He only qualified for one race, from which he retired. Another difficult couple of seasons followed before Warwick moved to the Renault team for the 1984 season. That was his most successful year in Formula One, with two second places and two third places achieved during the season. He subsequently drove for Brabham, Arrows, Lotus and Footwork, before retiring from the sport in 1993. He has driven for the Peugeot team at Le Mans, and spent some time participating in the British Touring Car Championship as well. 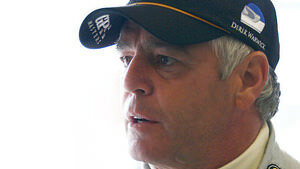 Derek Warwick, driver steward: "Exciting good start, Bottas can do a good job running into the first corner with Lewis. As long as these guys don't take each other off we'll be alright, we'll have a good afternoon. It's been the most boring weekend I've had for a long while, be careful what you wish for but let's hope for an exciting race." Steward this weekend, Derek Warwick, can't really discuss the decisions made in the stewarding office but does say: "We looked at all the data from the FIA and Mercedes, and it was the right decision at the end of the day. The comment that Lewis made last night was a little bit extraordinary, shall we say?"